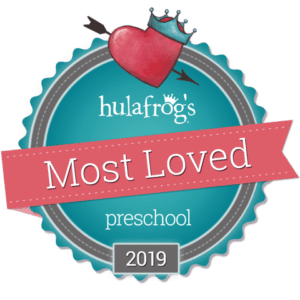 Little Sunshine’s Playhouse and Preschool is recognized within the industry as a premier early childhood education program and is proud to be a part of the Gilbert community. We offer an identity of unrivaled distinction in our brand image and high-profile architectural presence, and in the level of support and training our franchise system provides the School Operators. manners, and social skills all through creative and organized play. We know that if children enjoy learning at a young age it will carry with them throughout their lives! “Hi, there! My name is Ashley and I will be your child’s Program Director at the new Little Sunshine’s Playhouse on Higley Rd! I have been working with children for 15 years and have had the pleasure of teaching, training educators and parents, as well as, leading many through their educational journey. Professionally, I have a Bachelor’s Degree in Interdisciplinary Studies from Arizona State University. My dual focus was Family and Human Development and Small Business. Throughout my studies, I consistently combined all aspects of the child and family dynamic with appropriate ways to educate and mentor team members that we have the opportunity to develop! Problem-solving with the whole picture in mind is important when it comes to education and the multifaceted world that is learning. Personally, my family served in the military and I had the luxury of living in different parts of the world and the US. I have been married to my husband for 11 years and we have two young boys, Mason (12) and Benjamin (10). In our free time, if we are not on the football field with Pop Warner, we love to be outdoors enjoying hiking or swimming. We are always on the go!